Miesha Tate is back in the cage and now has a confirmed opponent. Strikeforce announced today the former bantamweight champ will face Julie Kedzie in San Diego as part of the Rousey vs. Kaufman event. Tate will return to the same cage as Ronda Rousey but this time does not get the main billing as she looks to bounce back from her first round loss to Rousey back in March. Kedzie is a longtime student of Greg Jackson and holds a 16-9 record. 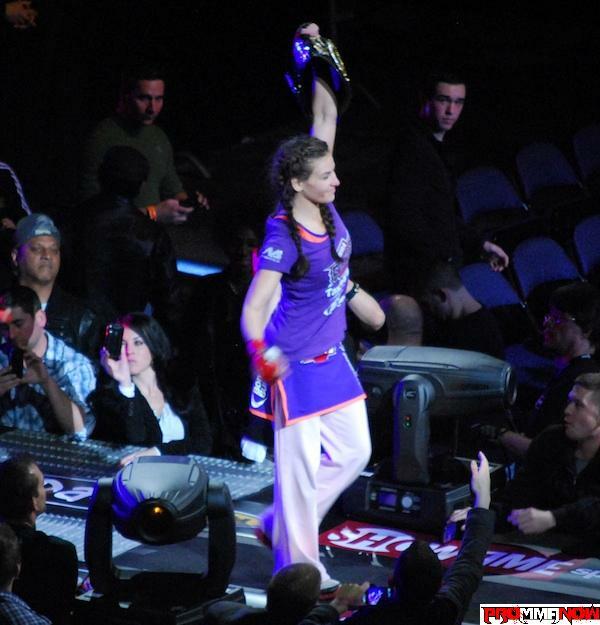 She has fought many of the top women in the sport and may be best known for her decision loss to Gina Carano at EliteXC. Julie has been on an extended break with her last fight taking place over a year ago against Alexis Davis. A win over Tate could put her back into a title hunt. The two women square off August 18th at the Valley View Casino in San Diego as part of Rousey vs. Kaufman. Also confirmed for that event as of now is Ronaldo Souza vs Derek Brunson, Roger Bowling vs Tarec Saffiedine and T.J. Cook vs Ovince St. Preux. The main event features Ronda Rousey defending her belt against Sarah Kaufman for the Strikeforce women’s bantamweight championship.